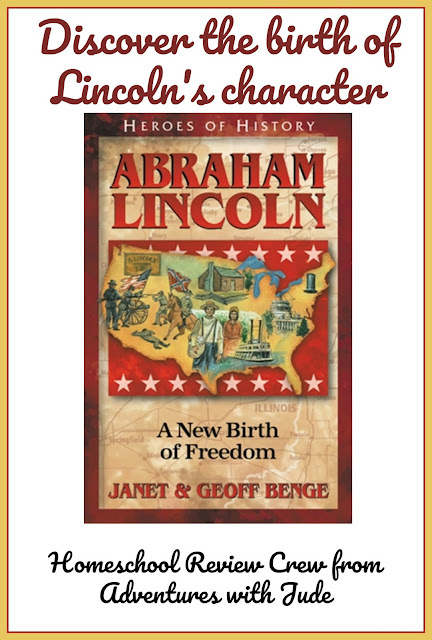 I was very excited for to review the biography Heroes of History - Abraham Lincoln: A New Birth of Freedom from YWAM Publishing because their Heroes of History series is one of our favorite history resources. In the past, Luke did the history reading, but the torch has been passed down. Matthew currently studying American History got tapped to complete this review. 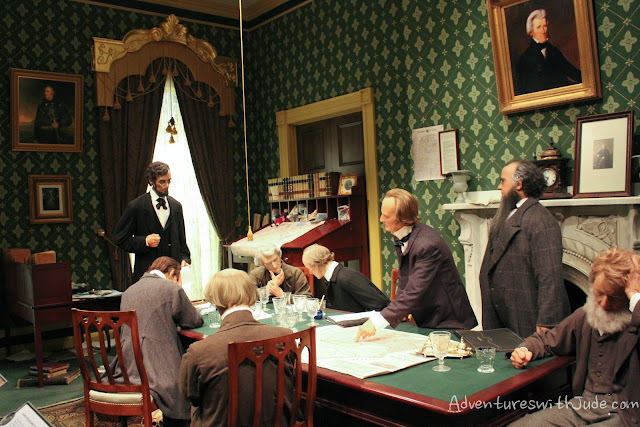 Abraham Lincoln is not a new person of interest in our homeschool. Since I was a child, I've been fascinated by him. In my opinion, Lincoln belongs in the pantheon of men who define the American spirit -- he's the quintessential, "pull yourself up by your own bootstraps," self-made man. When Luke was studying American History, he found that much of our nations' history can be tied to Lincoln - either a foreshadowing of what would happen during his presidency, or tied back to his administration. We both came to appreciate Lincoln's respect for justice and the laws of the land. From the very beginning of his presidency, Lincoln was aware of the role of the executive branch of government, and what powers the Constitution gave or withheld. "First Reading of the Emancipation Proclamation"
There are literally thousands of books written about Abraham Lincoln. (If you ever visit the museum next to the Peterson House/Fords Theater NHS, you can see three stories' worth of books ringing a support column.) I think the only way to write a good book about Lincoln is to not try to include it all, but pick a single theme and run with it. All of the YWAM Heroes of History books that we have studied begin with a defining moment in the subject's life that exemplifies a character trait, and then show how his (or her) life revolved around this belief, and this is the perspective on Lincoln that authors Janet and Geoff Benge have written from. The book's opening chapter describes how his experience as a Captain in the Illinois Militia helped define Lincoln's opinion that the United States was founded on laws that were meant to be obeyed at all times, not just when convenient. Clearly, Lincoln's understanding of the law did not begin with his election. The story then fades back to Lincoln at age seven, when a lack of book education left men like his father ripe for exploitation. Fancy "Philadelphia lawyers" took advantage of the practical but less-than-specific surveys of the frontier to take over homesteads, and Lincoln's family fell victim. Despite all I had read about Lincoln in the past, I never knew that this was a major catalyst for the family's move to Indiana. I knew that slavery had played a role in choosing Indiana but hadn't realized that a land grab had ultimately set them on the road there. Now having studied Lincoln's first inaugural address, I'd say he became as good an attorney as any Philadelphia lawyer! While not a trait outlined in the opening pages, I think this book also does an excellent job of highlighting Lincoln's tenacity. He often found himself moving on or at loose ends but managed to channel that into an opportunity for growth. Even when running for state government for the first time, Lincoln he says that he's used to not winning, so while he wanted to be the common man representing the common man, if he's wasn't chosen, he figured he'd survive the disappointment. Lincoln saw much tragedy in his life - uprooting, a voracious mind with little opportunity for formal learning, political defeat and the deaths of so many he loved - yet never did he simply give up. There were some times where he might have floundered a bit, but never did he admit defeat. While the book is not explicit in its message of perseverance, it's hard to justify any "I'll just quit," when you see that a man who grew up in a dirt-floor cabin, writing on the ground with a stick because he had no paper or pencil, rose to become one of history's most enduring leaders through his own determination. In addition to the biography, we also received the Study Guide that goes with the book. 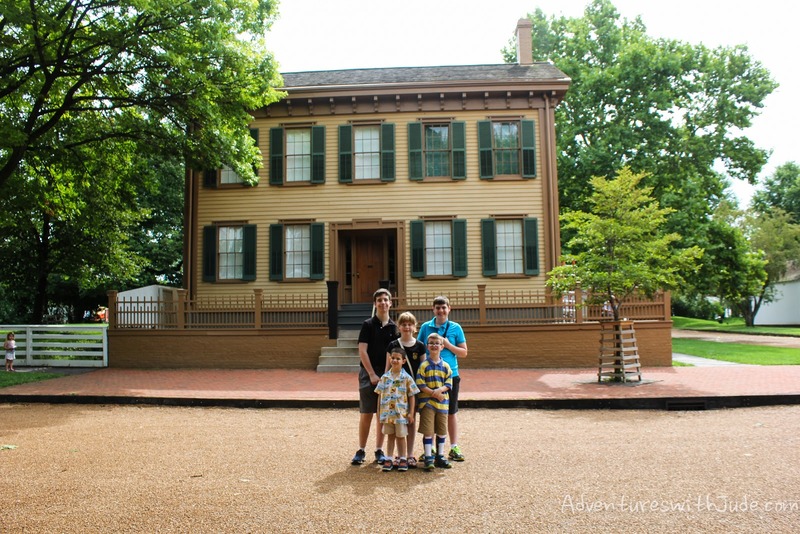 While Luke spent close to three months specifically reading about Lincoln, Matthew has learned most of his knowledge over the last three summers, visiting historical sites affiliated with our 16th president's life. We've been lucky to visit many National Park sites that are either directly tied to Abraham Lincoln, or affiliated with him. 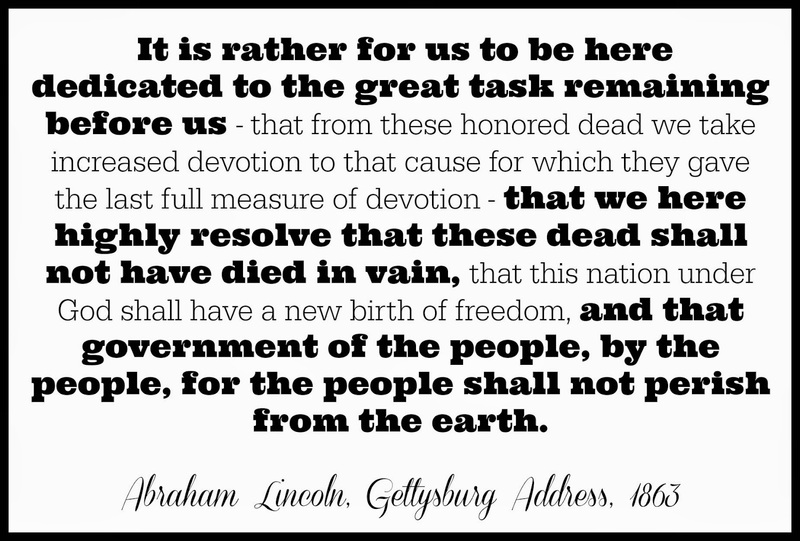 However, due to our travel itineraries, we haven't studied these places in chronological order; in fact, we visited Gettysburg over a year before we had the opportunity to visit where Lincoln was born, and it took us another year after that to visit his adult home and the cemetery where he was interred. The Unit Study contains both vocabulary and chapter comprehension questions, but also provide ideas for essays and projects that help the student understand the man behind the almost legendary reputation. The guide also provides a cross-curricular activity foundation. Matthew is not necessarily an avid unit-study person, but using some of the ideas helped tie things together. 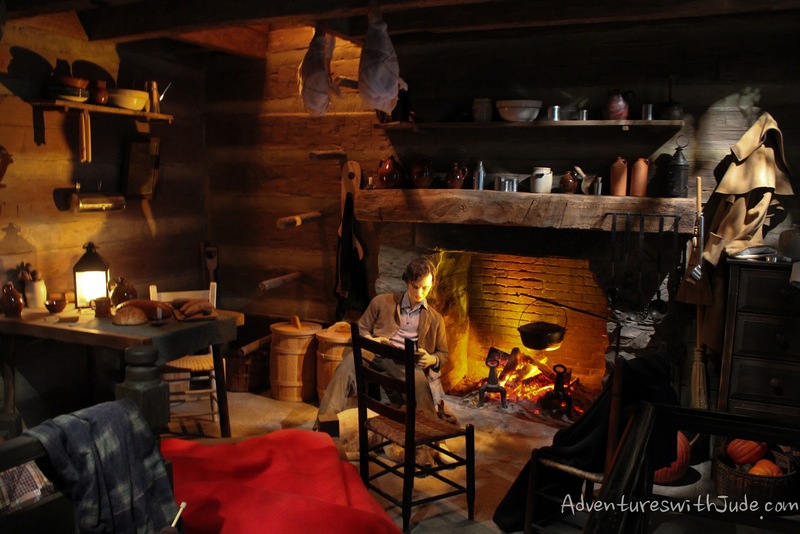 For example, we adapted some of the mapping activities as a basis to show the breadth of Lincoln's lasting influence on just the National Park service. As he organized the timeline of NPS-related sites related to Lincoln, Matthew learned that while Teddy Roosevelt and Yellowstone get the popular glory for being the first national park, the Yosemite Grant, the foundation of what would become Yosemite National Park, was signed into law by President Lincoln. Once again, we found an imprint left by a quiet, unassuming boy from Kentucky who grew up with respect for America's laws and her lands -- one more way in which Abraham Lincoln will forever belong to the ages. 100 Crew families have been studying YWAM's Heroes of History and Christian Heroes: Then and Now. Click the banner below to read about their stories.